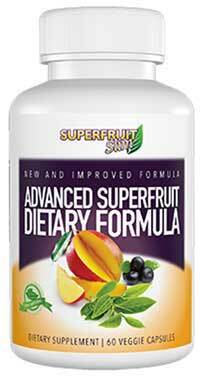 Superfruit Slim is weight loss supplement manufactured by Optimum Nutra. The name “super fruit” is a relatively recent expression used to describe fruits that are known to be particularly rich in nutrients and antioxidants. 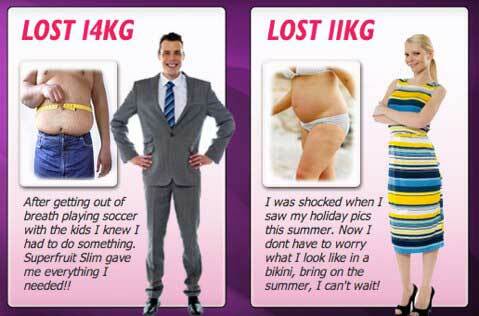 They also have an enviable reputation for assisting weight loss, and Optimum Nutra’s product has been designed to harness the power of four of the most popular super fruits available. Product availability is limited to the company website, but worldwide shipping is offered from distribution centers in the UK and USA. Bulk buy options are available, all purchases are protected by a 30 day money back guarantee, and the company make it easy to contact them with any queries or concerns; so first impressions are very good. These are all standard claims for weight loss supplements, but the list of ingredients looks pretty impressive and Optimum Nutra deserve a few extra brownie points for including exact inclusion rates. The blend contains a few fillers, such as gelatin (which makes it unsuitable for vegetarians), but the real power comes from seven main ingredients, three of which are “4:1 extracts” that boast four times the power of extracts prepared in the normal way. Acai Berry 4:1 Extract (1,600mg): Hailed as one of the healthiest fruits on the planet, and the first fruit to bear the super fruit title. African Mango 4:1 Extract (1,200 mg): Another good helping of super fruit. African Mango became popular after it was featured on the Dr. Oz show. The average weight loss associated with African mango is 28 lbs. in 10 weeks. Co Enzyme Q10: A natural substance that helps prevent the ageing process. Our body can manufacture on its own but nowhere near enough to aid cell reproduction. Green Tea 4:1 Extract (500mg): There is very little evidence to support green tea’s enviable reputation for assisting weight loss, but that is not to say that it does not have merit, and some tests have also shown it may offer some weight loss benefits when combined with other ingredients. Guarana Seed (75 mg): A potent source of caffeine and a proven stimulant. Guarana releases its caffeine content slowly though. This reduces the likelihood of any negative reactions caused by a sudden influx of caffeine. It also ensures longer lasting benefits. L-Carnitine (40mg): An amino acid that is a popular ingredient in sports supplements because of its ability to reduce feeling of fatigue. 1,3,7-Trimethyxanthine (60 mg): Caffeine with a technical title. Included here for its stimulatory effects. 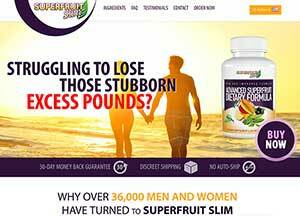 The media seems to be largely unaware of the existence of Superfruit Slim and if any celebrities have been wowed by its fat busting prowess they are keeping very quiet about it, but customer response seems very good. Reviews are limited to the official website, but this is probably because it offers the only sales channel. Pregnant and lactating mothers and anyone with an existing medical condition are advised to consult their doctor before using this or any other form of supplementation, but no side effects have been reported and, given the pills largely fruit content, problems are unlikely. It is possible that people who are sensitive to caffeine may experience side effects such as restlessness or the jitters, but the daily dose of Superfruit Slim contains less caffeine than a cup of coffee. 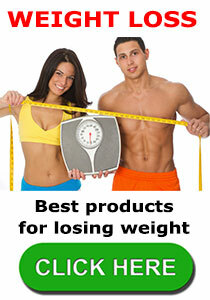 Superfruit Slim is a recommended product. It would have been nice to see some independent reviews, but this is not possible due to the in-house nature of the product’s marketing. The testimonials featured on the official website are very complementary, and suggest that the product is everything the manufacturers claim it to be, but common sense dictates that testimonials from such a biased source should be viewed with a certain amount of suspicion. Optimum Nutra make some pretty standard claims for their product, but they do not make ridiculous promises or state that it is the best diet pill in the world. The company is also very open about who they are and how to contact them. This indicates they are a reputable company and have nothing to hide. 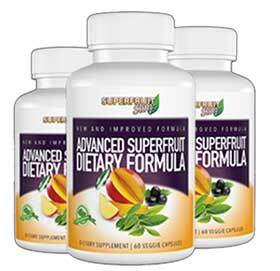 The deciding factor has got to be the contents of the pill though, and Superfruit Slim contains an impressive blend of ingredients, that are included in sufficient quantity to produce the kind of results promised and the presence of a money back guarantee proves the manufacturers are confident about their claims, and also ensures the consumer has nothing to lose. Available from the official website and ships to all countries. The site is translated into spanish and German. The currencies available to puy in are US dollars, pounds sterling and euro’s. All order come with a 30 day money back guarantee. As mentioned above the best value package is the buy 3 get 1 free option that works out to be $34.98 per month. This entry was posted in Fat Burners and tagged Superfruit Slim Canada, Superfruit Slim GNC, SuperFruit Slim Testimonials, Superfruit Slim UK by admin. Bookmark the permalink.